Recording Performance: Joseph Williams II, Joseph Palmer- guitars and Elizabeth Lehr- bass. Tom Waits (b. 1949) is an American songwriter, composer, actor and performance artist. He is frequently described as one of the last beatniks of contemporary music with a voice sounding “like it was soaked in a vat of bourbon, left hanging in the smokehouse for a few months, and then taken outside and run over with a car” (Daniel Durchholz, critic). He is a self-described maker of “adventure songs and Halloween music” and his lyrics explore a fantastical underworld on seedy, sentimental, grotesque and sometimes maudlin subject matter. His first nine albums (recorded from 1973-1983) are mainly written in the style of Tin Pan Alley over a jazz and blues framework and instrumentation. Beginning with Swordfishtrombones (1983), his music starkly departs from this style and he developed a new orchestration and evolving sound palette that continues to the present. He employs accordions, organs, bagpipes, rare instruments, instruments of his own design and some invented by composer Harry Partch. Furthermore, he has created concept albums developed and presented in theatrical productions (Franks Wild Years, Black Rider, Alice, and Blood Money) and explores forms that are rarely present in popular music (vaudeville, rumba, polka, tango, spoken word). Homage to Tom Waits (2012) is dedicated to this second period of his music. The title of each movement is taken from different Tom Waits songs: Deal out jacks or better from Tango til they’re sore; The fields are soft and green from Innocent when you dream; and Step right up from the song of the same name. Each movement paraphrases musical motives from Tom Waits works. The first and second movement draw their material from their respective songs and the final movement’s material is a re-imagining of the main theme from Knife Chase. The first and second movements are in simple forms (ABA, three verse song) and the last movement is a carnival dance which organically develops its material in a through-composed form. The first version of Homage to Tom Waits was scored for bassoon, guitar, and double bass and has since been through many manifestations. The current version has been thoroughly reworked and was completed in 2012. Zia: Myth and Folklore from New Mexico is a collection of concert etudes whose musical and pedagogical focus is timbre and extended techniques. The Zia symbol represents the sun: a red circle with groups of rays pointing in four directions. It comes from the Zia Tribe of New Mexico and was adopted as the state flag in 1912. As a New Mexico native, I grew up with the Spanish and Native American folklore and mythology integral to the cultural landscape of the region. When I began writing etudes on extended techniques and timbre, I found a sympathetic relationship between this exotic sound palette and the frequently fantastical elements in New Mexican folklore and myth. Therefore, I have associated each etude with a mythic entity or folkloric story. Although the pieces can exist without this association, it is my hope that the extra-musical reference will spark the imagination of the listener and performer, and help to keep these narratives alive in modern consciousness. Each etude addresses one or more extended techniques and employs timbral contrast as a structural element. The piece is intended for intermediate to advanced guitarists who wish to develop flexibility and proficiency in extended techniques and timbre. Zia can be performed in the order presented here or, at the discretion of the performer, in smaller groups or individually. La Loba (Sp. “wolf woman”) is a wild woman who scours the desert collecting the bones of wolves. Once she has gathered every part of a skeleton, she lays it out next to a fire and ponders what song she will sing. When she has found the right song, she lifts her arms, begins to sing and slowly flesh and fur grow over the bones. She sings more and the wolf begins to breathe: a new wolf is brought to life. Pedro and Diablo is a folk story of mistaken identity. In the middle of the night, two sin-filled drunkards take a nap in a graveyard and awaken to hear two thieves splitting up a booty of apples they stole in a caper earlier that night. The thieves, named Pedro and Diablo, divide the apples happily counting, “One for Pedro! One for Diablo!” The drunkards believe they are hearing St. Peter and the Devil dividing up the souls in the graveyard. They are filled with fear as they reflect on the merit of their lives. With each statement of “One for Pedro! One for Diablo!” they grow increasingly terrified as they recount the number of their sins. Kokopelli is the Anasazi spirit of fertility, music and a trickster as well. He is included in the Hopi and Zuni mythology and is credited with the fertility of both land and mankind. Kokopelli is typically depicted as a humpback flute player and, in historic sources, with a large phallus. It is one of the oldest surviving symbols of the New World. The Seven Cities of Gold, and by extension, Hawikuh, is the first Spanish myth of New Mexico. After the Conquistador Hernán Cortés found the Aztec’s gold-laden city of Tenōchtitlan (present day Mexico City) in 1519, the Spanish fostered hopes that there were other cities filled with riches in the New World. In 1539, Spain sent an expedition to the unoccupied northern lands lead by friar Marcos de Niza in response to rumors of Cibola and the Seven Cities of Gold. After a long and brutal trip, the party arrived in western New Mexico, where Cibola was said to exist. The friar sent scouts to investigate, but these groups were rebuffed with heavy casualties. Due to threats of mutiny and fear for his own safety, the friar elected to examine a pueblo from a distance. As the friar looked across the desert landscape, the intense sun and heat helped to create an illusion he was desperate to see. A modest pueblo was emblazoned by the sun and his imagination to appear as a small, but brilliant city of gold. Satisfied, the expedition retreated to Mexico City. When an enthusiastic Spanish entourage led by the friar returned, they suffered the same arduous journey only to find the small pueblo of Hawikuh with dirt roads, white plaster buildings, and turquoise as its most valuable possessions. The blurring effect of campanella in Hawikuh creates an auditory illusion to reflect the mental mirage of Father Marcos Niza. Every mythology has a trickster and Coyote fills this role in virtually every Native American mythos. Coyote is a contradictory and unpredictable force who violates social, religious, and sexual mores. This piece is an evocation that is playful, unexpected, and slightly dangerous, like Coyote himself. The Fiestas de Santa Fe are celebrated every fall in Santa Fe, New Mexico. They commemorate the return of the Spanish in 1692 after the Pueblo Revolt of 1680. Since 1924, the Fiestas have included the burning of a massive effigy named Zozobra, (Sp. “anxiety”). People from the community are invited to write down the worries and fears of the previous year on slips of paper. These papers are collected and burned along with Zozobra. In a cathartic and humorous pseudo-pagan ritual, the effigy moans and flails about while it is burned and the audience cheers. str. qt. 1.1.1.1. gtr. orch. 1.1.1.1.1.1.1. bs. gtr. or b. 1. Austin Pictures is a suite of musical portraits of life in Austin, TX. The sweeping arpeggios of the first movement depict the flowing hills around Austin and the palpable optimism present in this city. The impressionistic harmony and textures of the second movement evoke the light shining off Ladybird Johnson Lake. The third movement is a Tom Waits-ian dance in honor of the misfit bird, the grackle. The phrase “violet crown” is attributed to the author O. Henry and describes the violet and lavender hues of the city’s sunsets. The final movement is a primal dance depicting the rapid expansion and development of Austin in recent years. Peter Bay Conducts the Classical Guitar Orchestra | Arts In Context from KLRU-TV on Vimeo. Scores and parts for all movements of Austin Pictures will be available on joeplaysguitar.com for purchase in early March. If you are interested and need more information please contact me. 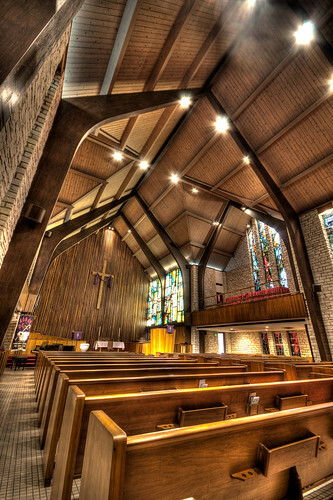 This Thursday, Ill be presenting a short lunch-time concert in the beautiful sanctuary at Central Presbyterian Church in downtown Austin. The concert is free and part of the CPC’s Noon Concert Series which happens every Thursday and provides a brief interlude for your work day.